In March, NEF held a three-day communications workshop at its Beirut, Lebanon office. Conducted by Syracuse University Professor of Visual Communications (Formally Multimedia, Photography and Design), and Director of the Newhouse Center for Global Engagement, Ken Harper, the workshop covered training on photography basics and story gathering for staff currently focused on developing refugee livelihoods. This presented a unique opportunity for NEF project staff to learn from a leading professor representing one of the top ten communications schools in the U.S., the S.I. Newhouse School of Public Communications. After a full day of lessons in a classroom setting, the group set off to put their new knowledge into practice. The next two days were spent visiting two women who have benefitted from NEF’s work in Lebanon—both Syrian refugees who have started small businesses with NEF’s help. 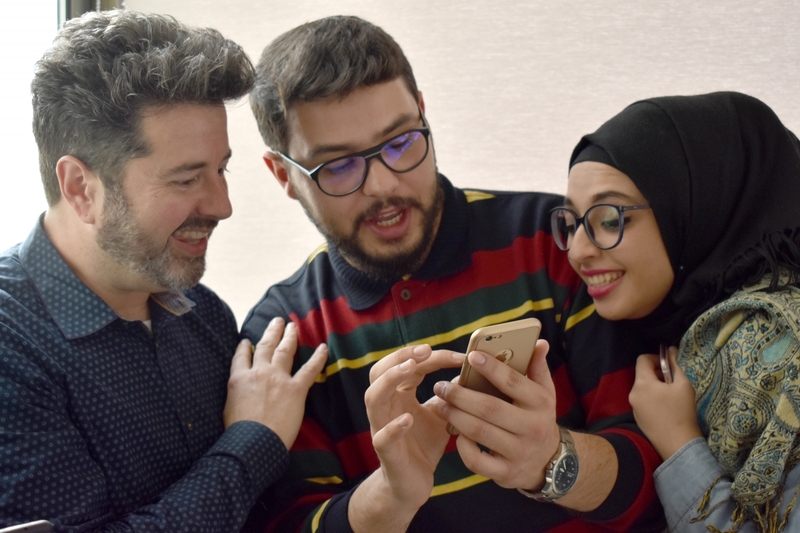 Iman, Fatima, and their families welcomed the new group of amateur photographers and journalists into their homes with open arms and great patience as they conducted interviews, gathered photos, and recorded videos.